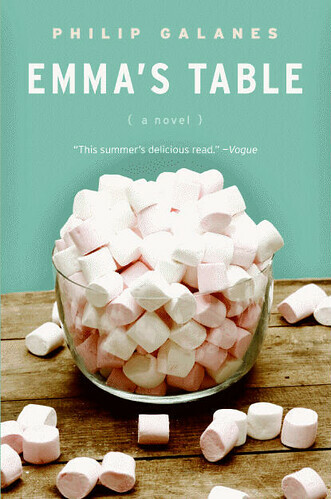 A novel I'd never heard of, Emma's Table, by Philip Galanes. 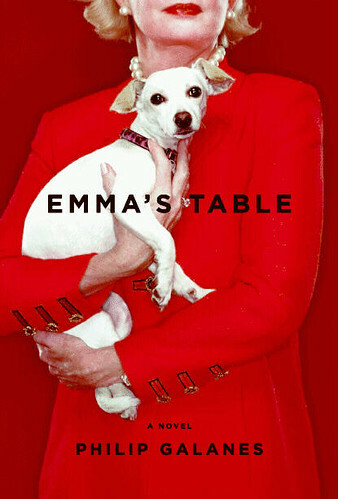 From the moment Emma Sutton walks into the esteemed Fitzcoopers auction house, the one-time media darling knows exactly what she wants: an exquisite antique dining table. What she doesn’t realize is what she’s finally getting: the chance to set things right. I'm glad cupcakes, which based on a quick glance, don't factor into the story, made it onto the cover, just because they're fun. 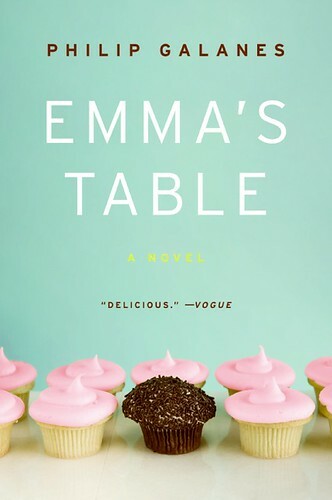 Yes, I am a total book cover marketer's dream, because I would, indeed, and did, buy a book simply based on their being cupcakes on the cover! One of the reviews says it's about a "fictionalized Martha Stewart" so perhaps cupcakes do get mentinoed. i am also a book addict...and buy books totally based on the covers!